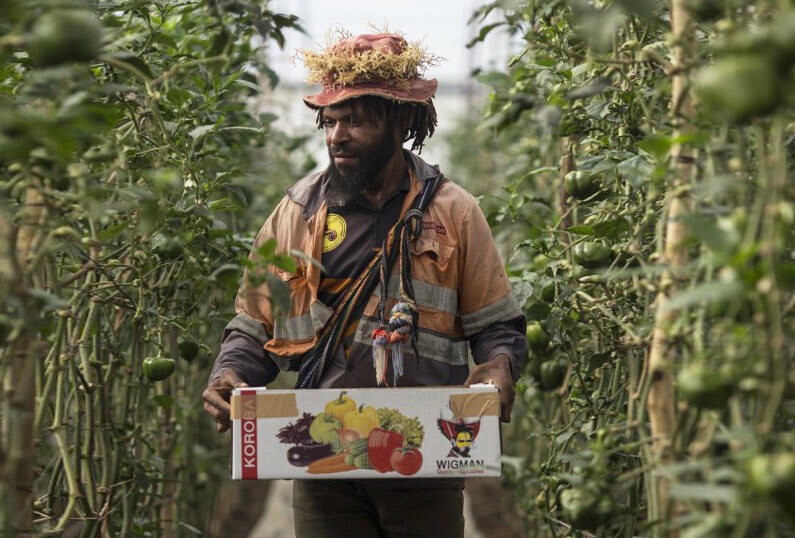 LR Group’s Koroba Agro Industrial Center (AIC) in Papua New Guinea’s Hela Province is part of a comprehensive strategy for revitalizing the area, taking advantage of its existing resources and introducing advanced agriculture technologies. By providing sophisticated facilities, high-level training, and all the benefits of economy of scale, the new AIC offers a better future for the residents of Hela Province. At the far end of the Highland Highway, the Hela Province is home to a large Liquefied Natural Gas (LNG) project that has been operating since 2014. Until recently, the few formal employment opportunities were mostly LNG or public service related. Much of the fresh food in the province was brought from other regions of PNG at great cost. This created both a need and an opportunity. A strong farming sector would offer much-needed economic diversity and food security while providing jobs for people already living in the area. The agricultural industry could rely on significant demand from the LNG project’s large industrial kitchens. Provide the LNG catering services with fresh local eggs and vegetables, while directly and indirectly creating many new jobs. Provide local communities with modern agriculture and business skills, introducing them to new farming techniques and training methods, as well as offering access to inputs and a stable market for their produce. Demonstrate that with the appropriate planning and implementation, even this extremely remote location can produce commercial agriculture goods that meet international quality standards. This project’s location presented unique challenges on the physical, logistical, human, and communal levels. Difficult road conditions and long distances to ports and other trading centers meant that this project’s logistics were not for the faint of heart. Challenging soil conditions led project managers to replace use of mechanized earth moving equipment with manual labor, providing much needed employment to the nearby town. Many of those temporary employees were later retrained and were able to remain as workers in the agriculture enterprises. This was just the beginning of community involvement in the project. Every step of the process was carefully coordinated with neighboring clans, including employee recruitment. Today all employees are from the immediate vicinity of the project, recruited from the local clans, trained on-site, and living within walking distance. The Koroba project produces eggs and fresh vegetables that meet international quality standards, which would not otherwise be available in the area. They supply both the catering services of the LNG operations as well as the local market, expanding on the ways that the LNG project has benefited the local community. 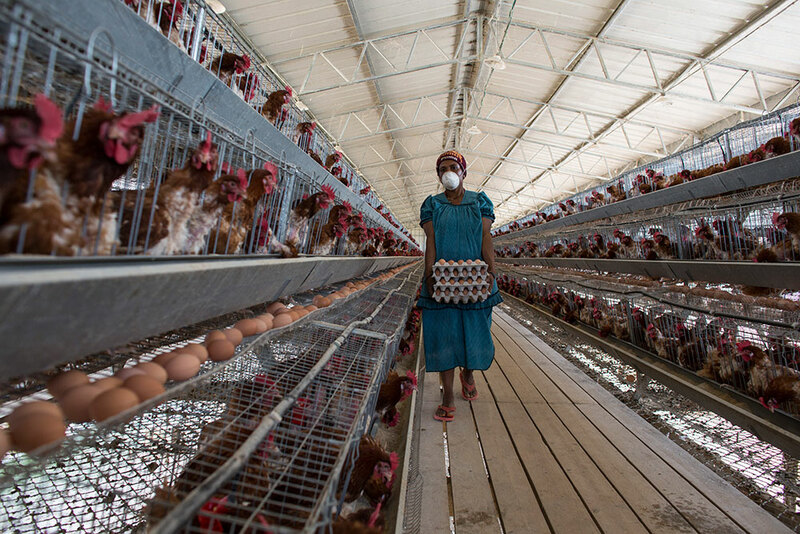 To ensure that egg price remains competitive and to keep earnings within the local economy, the chickens are fed on grain that the project has grown in cooperation with the surrounding communities. To boost local maize production the AIC established a training facility and demonstration plots, encouraging up to 20 farmers a week to participate in training sessions. The AIC provides the farmers with free seeds, locally made fertilizers, and a guaranteed market with a premium price relative to the international market. In total, the project regularly engages over 400 families in the production of maize. High quality vegetables are being produced in state-of-the-art facilities with cutting-edge drip irrigation systems that meet the exact requirements and specifications of the AIC’s commercial clients. The use of high end technology ensures the project’s ability to continue introducing new crops to the region and thereby avoid competing with small-scale farmers in the area. The AIC provides packing, sorting, refrigeration, and quality assurance services as well as taking responsibility for marketing, beginning with logo and brand development all the way through sales and distribution. The project provides direct employment to over 60 local employees and engages more than 400 families from the immediate neighboring communities in the production of maize for stock feed. This makes the Koroba project the area’s largest employer. More than 50% of the direct employees are female, bringing a message of equality and fair employment to communities where options like this never existed in the past. The AIC is able to completely meet the LNG catering service’s demand for both eggs and fresh vegetables, so that the catering budget stays largely within the local economy. Even after supplying the LNG operations, enough eggs are produced to supply much of the overall local demand. 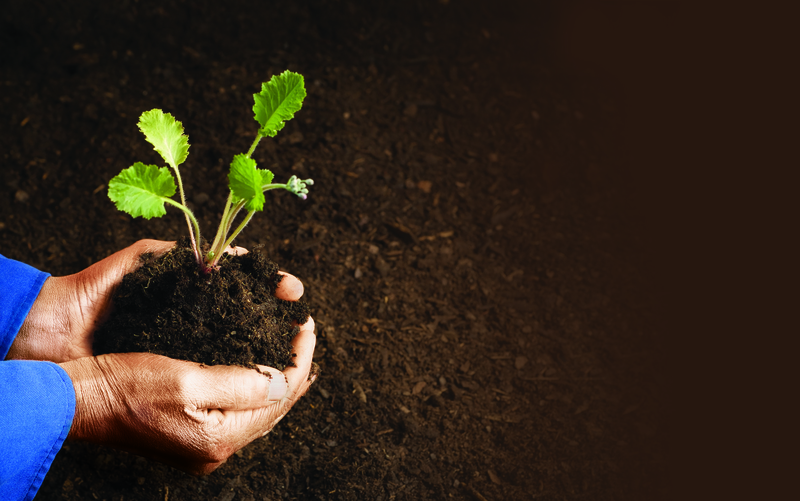 Increased local production is followed by improved food security and long-term economic growth. With the farm’s brand earning itself a strong reputation, it is already starting to boost the reputation of the entire region. The AIC also serves as a center for the social life of the community, with hundreds of people showing up for regular movie screenings each weekend. The AIC has been in full production since 2014. In addition to maize, it produces more than 8,000 eggs per day and 600kg of high quality vegetables every week. 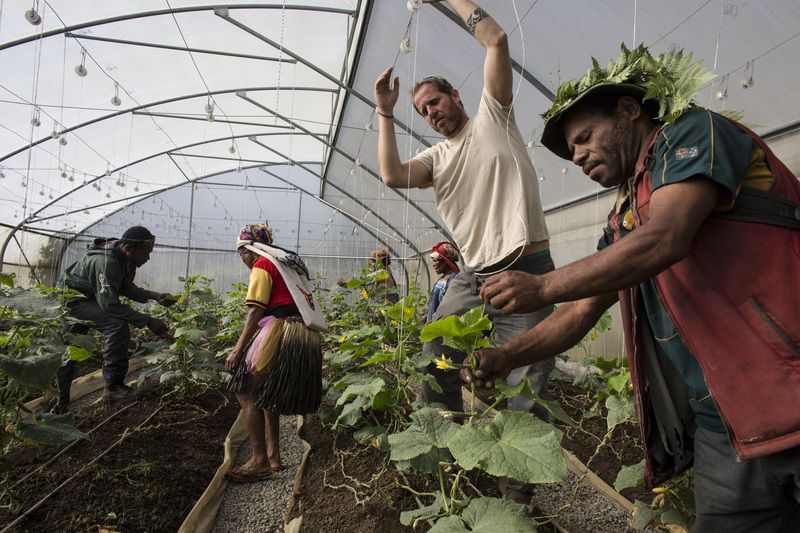 As training continues and production increases, the economic and social benefits of the project are sure to be felt more and more throughout the Hela Province.